Posted on February 28, 2018 at 8:00:00 am by Elaina R.
I’m a professional singer, but sometimes even I want to kick back and sing a couple o’ tunes in the laid-back environment of a karaoke bar. Luckily, Fort Wayne, Indiana has plenty of establishments to keep me (and other karaoke aficionados) occupied. Here are my favorite spots to hit the mic just for fun in Fort Wayne, Indiana. The sprawling local gay bar/nightclub offers karaoke several times a week in its downstairs bar area. I’ve found myself down there singing “A Whole New World” from Disney’s Aladdin on more than one occasion, and I’m sure it will happen again. This dive bar has everything--darts, live music, $2 “mystery beers,” and the occasional karaoke night. The first Irish bar on my list is known for its Sunday brunch bloody marys as well as karaoke intermittently during the week. This bar, just a stone’s throw away from O’Sullivan’s, is easily recognized because of the bicycle hanging above the door! Arcade games, live bands on some nights, and (of course) karaoke make for a fun time. On the other side of town, Crooner’s Karaoke Bar offers nonstop karaoke. It’s part of Piere’s Entertainment Center, a large complex that contains clubs, bars, and more. 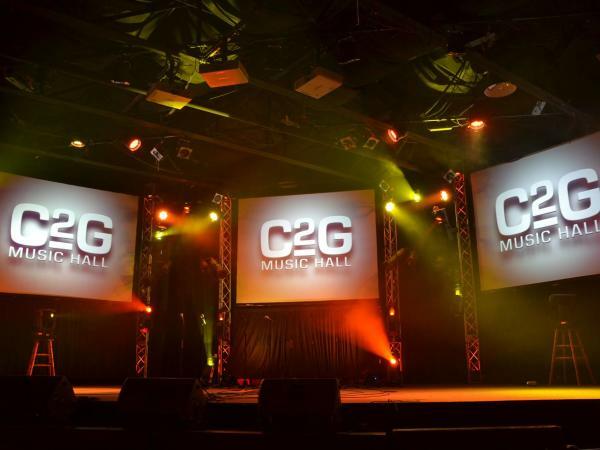 No, C2G Music Hall isn’t a bar--it’s a concert venue. If you really love karaoke and would like to try it with a live band and backup singers, you could do it here! Heartland Sings (the company where I sing full time) is hosting a Karaoke Classics Live concert at CS3 on September 29, and audience members will have the opportunity to come up and perform a karaoke solo. If you show up early and sign up for a slot, I could be singing backup for you in a few short months!